VietNamNet Bridge – Nguyen Quang Thanh, deputy general of the State Audit Office of Viet Nam, speaks to Tiền Phong (Vanguard) newspaper about the key missions his agency will be focusing on in 2019. 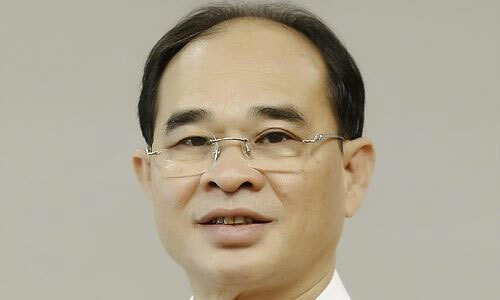 Nguyen Quang Thanh, deputy general of the State Audit Office of Viet Nam. What were the main reasons for big losses and waste in the field of land use and management in 2018? There are many reasons for these issues and vary from locality to agency. However, here I want to divide them into two groups- subjective and objective. Objectively speaking, land in Vietnam belongs to the people, and the State is their sole representative in the issue of land management. Land is a limited natural resource, and very important to national socio-economic development. That’s why the issue of land use management is very demanding and complicated. It has become a sensitive issue with many conflicted interests across society. That’s why our land policies and legislation must be specific, comprehensive, synchronous and practical to suit the real needs of Vietnam. Subjectively speaking, land management and use in many localities have not strictly followed the country’s land laws, particularly on planning, compensation and clearance. What are the main problems implementing the Land Law? Since 2016, the State Audit of Viet Nam has conducted multiple auditing missions relating to the issues of land use and management, of which 48 missions were related to urban land management and use. Through our missions, we have witnessed some positive changes in urban land management and use. However, we have also detected limitations and weaknesses in land management, including land losses, waste and corruption. Other common encroachments we detected were violations in land use planning on many construction projects – particularly violations regarding the number of floors in high rises or changing the function of previously approved plans. From 2016-2018, the State Audit of Viet Nam petitioned the Government to recover VND11 trillion (US$470 million) for the State coffers from projects that had violated the State budget law and financial legal documents. What will be the focus of the State Audit of Viet Nam in 2019? Land usage will remain a key topic for our activities in 2019. Of course, during our missions, at the request of the National Assembly, we’ll combine financial auditing with land management auditing, including at some State-owned enterprises (SOEs). Also at the request of the National Assembly, the SAV will conduct audits on some “Build-Transfer – BT” projects in Hanoi, HCM City, Bac Ninh and Thanh Hoa. We’ll focus on detecting violations and will apply financial sanctions if any are found. If any criminal activities are uncovered we’ll refer them to authorities. According to the plan for 2019, the SAV will also conduct audits on many SOEs. What will be the focus there? In 2019, the SAV will conduct three audits at SOEs in the Ministry of National Defence and Ministry of Public Security; plus 21 economic groups/corporations and four banks and financial and credit organisations. They include Viet Nam National Petroleum Group, the Viet Nam National Coal and Mineral Industry Group (VINACOMIN) and VietinBank. A key objective of these auditing missions will be to evaluate and assess the management and use of State capital and assets.